We salute some of the beautiful friends-in-spirit who decide about their Exit this year. Betsy Davis threw a farewell party with friends and family in July. It was her way to say goodbye before becoming one of the first California residents to take life-ending drugs under a new law. Betsy, a 41-year-old artist with ALS (Lou Gehrig’s disease) emailed the invites with a special message: “These circumstances are unlike any party you have attended before, requiring emotional stamina, centeredness and openness.” And she added just one rule: No crying in front of her. Ms Davis Davis planned a detailed schedule for the gathering, including the precise hour she planned to slip into a coma, sharing her plans with guests in the invitation. One woman brought a cello. Someone else played a harmonica. There were cocktails, pizzas, and a screening in her room of one of her favourite films, “The Dance of Reality,” based on the life of a Chilean film director. Paralympian Marieke Vervoort says planing her own euthanasia is enabling her to live longer. The power to take her own life, she says, is really what’s keeping her alive. A silver and bronze medalist, Vervoort says that knowledge, that she can have a safe and easy death, gives her the strength to keep going. Her silver medal in the T52 400m in Rio de Janeiro came after 30 hours of violent sickness and a day on a rehydrating drip in the Paralympic village. Her bronze in the 100 metres came after a bladder infection had sent her temperature soaring. 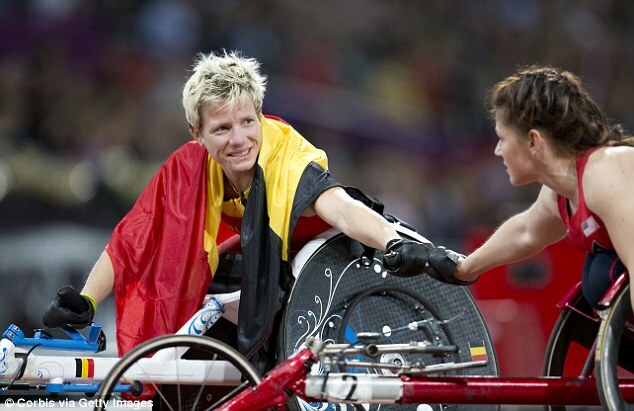 37-years-old, the Belgian wheelchair racer suffers so much pain she wakes up her neighbours by screaming in the night. Marieke Vervoort has a progressive, incurable spinal condition, diagnosed when she was 21, that ravages her body. Her fiercely defended independence dwindles. She has visits from nurses four times a day, and also an assitance labrador, Zenn, who fetches items for her, helps her dress and supports her during epileptic attacks or when she is crying. Triathlon had become her passion when the disease made her reliant on a wheelchair. She was world champion twice, but in 2008 her condition deteriorated so much she had to give up the sport. It was the lowest point in her life. The pain was agonising, the loss of independence insupportable. She told her friend she wanted to kill herself. “She said, ‘there’s no point in living, no point in going on because it’s too hard, it’s too bad. '” It was Marieke’s coach and therapist that recommended she speak with Dr Wim Distelmans, a leading palliative care expert, and who suggested another option: that of euthanasia. She decided to sign the papers. 17 Hart Street, Edinburgh, Scotland U.K. EH1 3RN. 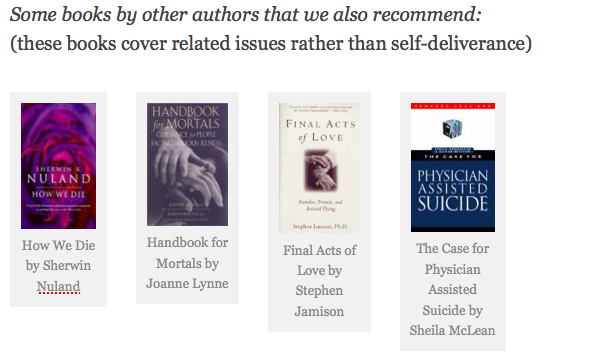 circumstances to further and publish research into self-euthanasia. This entry was posted in assisted suicide, research and tagged Belgium, Betsy Davis, California, Dance of Reality, farewell party, film, Marieke Vervoort, paralympic, Rio. Bookmark the permalink. Thank you for grand leadership … SIMPLY WONDER FULL! I recently had a surgery, the result of which leaves me just barely able to care for myself, although I may recover and be healthy again for awhile. The idea of having to live many years hobbling around and relying on paid caregivers does not appeal to me. I want to be able to end my life on my own terms. I am shocked at what other people will (have to) endure to be ‘alive’.